Fabulous property. Food and drink prices are a little steep given the location but generally a wonderful stay. Where to find Coron hotels near an airport? How can I find hotels in different Coron neighborhoods? Where can I find hotels in Coron that are near tourist attractions? Are you planning to spend time in Mimaropa? 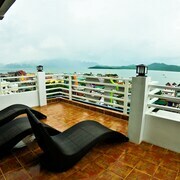 Hoping to find a place to stay in Coron? 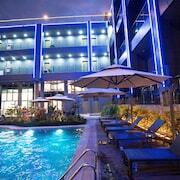 You'll find 3 Expedia-listed apartments and hotels within 0.1 kilometres (0.06 miles) of the center of town. 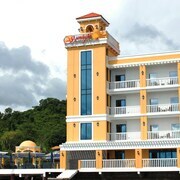 Expedia hotels within driving distance of Coron include the Caleb’s Island Beach Camp and Sangat Island Dive Resort. Busuanga Island is a popular accommodation neighborhood. Busuanga Island is 5 kilometres (3 miles) from the main part of Coron and offers 35 hotels. 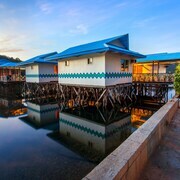 Some accommodation options in Busuanga Island are the Coron Westown Resort and Busuanga Island Paradise. The Busuanga Island Paradise is a budget-priced hotel. It's positioned 14 kilometres (9 miles) from the heart of Coron. 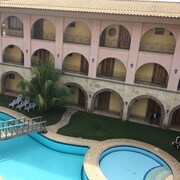 If you'd like another budget option, you may like to check out the rates and amenities at the La Natura Resort. 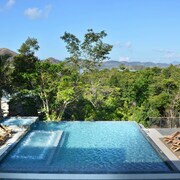 The Two Seasons Coron Island Resort & Spa is situated 30 kilometres (19 miles) from downtown Coron. 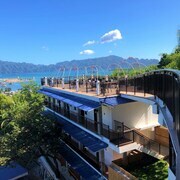 Another accommodation option is the Club Paradise, which is positioned 20 kilometres (13 miles) away. 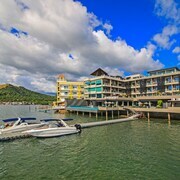 Some other hotel options around this area include the El Rio y Mar Resort and the La Estancia Busuanga Resort. Looking to go a bit further afield? Mimaropa has many things to see. Investigate Mimaropa's traditional villages, war relics and monuments and cathedrals and also admire the area's beaches, coastal plains, forests and jungle. Adventurous travelers can also try their hand at caving, cycling and shore fishing in this part of Philippines. Godofredo P. Ramos Airport is a convenient airport, and is located 200 kilometres (127 miles) from Coron. 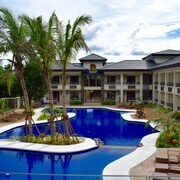 Nearby hotels are Asya Premier Suites and The District Boracay. What are the most popular Coron hotels? 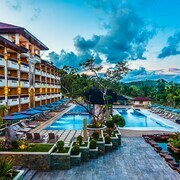 Are there hotels in other cities near Coron? What other types of accommodations are available in Coron? Explore Coron with Expedia.ca’s Travel Guides to find the best flights, cars, holiday packages and more!